Clarksville, TN – Jazz in June, The Acuff Circle of Excellence’s annual celebration of the arts with jazz, food and wine, will be from 5:00pm-7:00pm on Friday, June 20th, at Beachaven Vineyards and Winery. The public is invited to attend. At this event, longtime Clarksvillian Marge Lillard will be honored for her contributions on the stage as an actor and dancer. She’ll receive the Full Circle Award, presented annually to a living Tennessean who has had a consequential impact on arts and culture in Montgomery County over many years of direct involvement through innovative work, philanthropy or leadership. 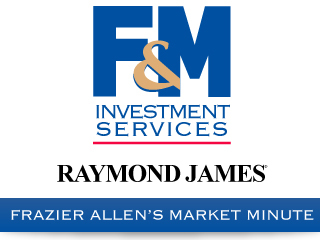 The recipient is selected by the Acuff Circle of Excellence Advisory Board. Marge Lillard to be honored at Acuff Circle’s Jazz in June. Previous winners include musicians Dr. Solie Fott and Drs. Sharon and George Mabry. 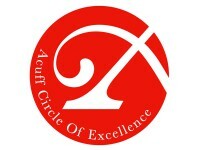 The Acuff Circle, a non-profit organization affiliated with the Austin Peay Foundation, serves as a patron society of the Austin Peay State University Center of Excellence for the Creative Arts. It advances the importance of arts and culture at Austin Peay and in the community. Lillard has been entertaining audiences across the country and in Europe for nine decades, dancing and acting on stage and as a behind-the-scenes choreographer. She began dancing professionally at the Orpheum Theatre in Memphis and later with a revue that toured the country and Canada. She came to Clarksville in the summer of 1957 when her husband, the late Col. James Lillard, was on his first of three assignments to Fort Campbell. In 1980, after a 31-year military career, the Lillards retired in Clarksville. Wherever she was, whether in Washington, D.C., as a Teletype operator during World War II or elsewhere in the states or Europe with Jim’s assignments, Lillard found a way to perform. She moved adeptly into the theater as a dancer, actor or choreographer, appearing on post and community stages and working with the USO. “If I were asked to do something, I’d think they must think I could do it, so I’d try,” she said, referring to her stint as a radio host for “The Feminine View.” She was named “Military Wife of the Year” for Fort Campbell, while the soldiers were deployed to Vietnam. In 1983, when the Roxy Regional Theatre was in its infancy, Lillard asked how she could help. 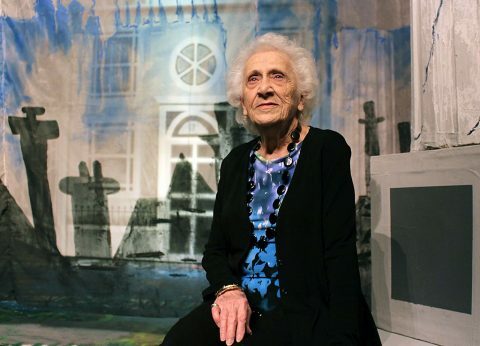 She ended up acting, singing and choreographing for the Roxy for the last 33 years, starring in roles in such memorable productions as “Cabaret,” “70 Girls 70,” “A Little Night Music,” “Arsenic and Old Lace,” “Funny Girl,” “Zorba,” “Macbeth” and most recently, “Mary Poppins.” Audiences also will remember her from the Fort Campbell Community Theatre productions of “Hello, Dolly” and “Mame,” among others. Reservations for Jazz in June can be made by contacting Christina Harvey at the Center of Excellence, at 931.221.7876 or at . Cost is $30.00 for Acuff Circlemembers and $40.00 for non-members and guests. Reservation deadline is June 13th.